About company AvaHost | Web Hosting AvaHost.Net. or «shared» hosting), reseller, VPS (VDS) servers, cloud VPS servers, domain registration, creation, website promotion, etc. Our most popular package at Avahost.net — Standard hosting («virtual» or «shared» hosting). server is configured to host multiple customer accounts, that share its resources. Each client has their own (CPanel), through which he has full control of his hosting account. 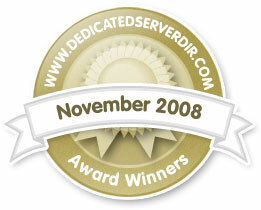 As a bonus, all our Standard hosting plan clients have access to our easy and convenient «site builder». To better our clients experience we offer a choice of hosting in professional Data centers in different countries such as: USA (Charlotte, NC) and Europe (London). In all Data centers we use our own Enterprise Class server-racks (Supermicro, Dell) and networking equipment (Cisco). Periodically some hosting rating sites, review sites, and payment systems give out «awards» and «seals» to companies that match certain requirements. Avahosts Customer support services work 24 hours a day 7 days a week. We’ll be happy to answer your questions through our support ticket system, through an online chat or email. Our accounting works 5 days a week on workdays, from 9am till 5pm.